Michelle is a partner at Webster Kaplan Sprunger LLP and a member of the firm’s Labor and Employment Law Practice Group. Michelle represents employers in class-action and individual lawsuits in all areas of employment law including sexual harassment, wrongful termination, discrimination, breach of employment contract, unlawful business practices, non-solicitation, trade secret misappropriation, and wage and hour claims. Michelle litigates in federal and state courts, as well as before administrative agencies including the Department of Fair Employment and Housing (DFEH), the Equal Opportunity Employment Commission (EEOC), Department of Labor Standards Enforcement (DLSE) and the Workers’ Compensation Appeals Board (WCAB). To protect employer-clients from lawsuits, Michelle provides day-to-day counseling and conducts training classes on various topics including effective hiring and training, leaves of absence, disabilities in the workplace, disciplining and terminating employees, and maintaining a work environment free of harassment, discrimination, and violence. Michelle strategizes with employers and tailors their policies to fit their business needs while ensuring compliance with changing laws. Additionally, she conducts workplace investigations into employee complaints and wrongdoing and trains human resources personnel on how to conduct them. Michelle received her J.D. from the University of California, Los Angeles School of Law in 2003, where she was the Chief Managing Editor of the Pacific Basin Law Journal. She received her B.A., with honors, in Political Science from Loyola Marymount University, Los Angeles in 1999. 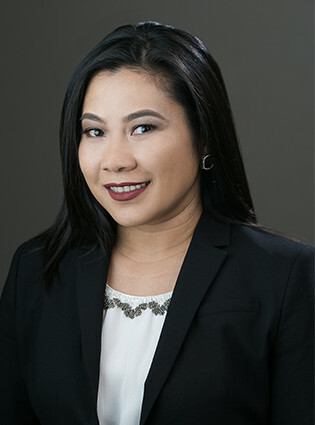 Michelle is a member of the Los Angeles County, Century City, and Philippine American Bar Associations. Michelle is an advocate for local business owners in the South Bay and, in doing so, she is an active member of local Chambers of Commerce. She is involved in local charities that benefit early childhood education as well as abused and neglected women and children. Prior to joining Webster Kaplan Sprunger LLP, Michelle was an associate with Silver & Freedman’s Labor and Employment Law Department.